Minsky's papers are available here. Several interesting nuggets for those willing to dig. Enjoy! Pondering the puzzle of far too many zombie economists, many of European, English, and American fresh-water origin, I started researching how to REALLY kill a zombie. 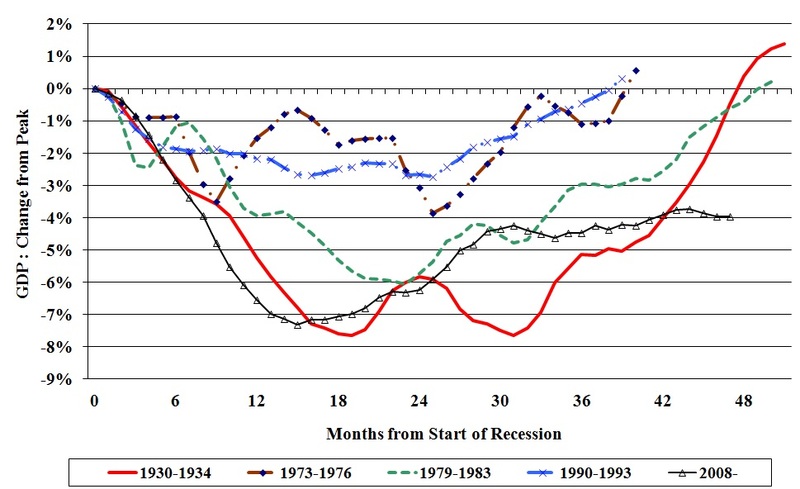 The recent tragic British recessionary news motivates this research. Britain receded into a recession in the fourth quarter, making the current depression the longest even considering the prior depression. This NIESR chart is from Jonathan Portes, Director, National Institute of Economic and Social Research, previously, Chief Economist at the UK Cabinet Office. Notice that, in Britain, this depression is also almost as deep as the prior one. And Chris Dillow, via Mark Thoma, both have the same question I do (minus the zombie part). So, I feel I am on solid ground in my quest. The best reference so far for killing zombies (not refereed a.f.a.i.k. 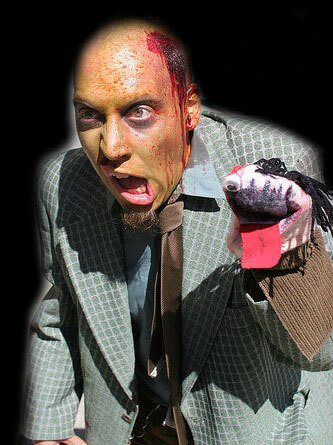 ), seems to be the Zombie Wiki. The essential step, though there are many, is destroying the brain of the zombie. That sounds about right to me, though I would hope these charts and the recent IMF studies would destroy the offending brain cells. I think it's way past time that expansionary austerity die its deserved death. Waiting for dark, got my high power flash and brain destroying implements. Off to hunt Zombies. Can anyone identify the economist in the opening picture? Update: Here is a link to the IMF Working Paper; the conclusion is at page 30, but take a minute to browse their graphs. Austerity is contractionary. ﻿This volume, a collection of essays by internationally known experts in the area of the history of economic thought and of the economics of Keynes and macroeconomics in particular, is designed to celebrate the 75th anniversary of the publication of The General Theory. Keynes's General Theory is intended for those students and scholars who are interested in the economics of Keynes and the rich variety of approaches to macroeconomic theory and policy. "[The] period, from 1820 to 1830, was notable in England for scientific activity in the domain of Political Economy. It was the time as well of the vulgarising and extending of Ricardo’s theory, as of the contest of that theory with the old school." "Men who still claimed some scientific standing and aspired to be something more than mere sophists and sycophants of the ruling classes tried to harmonise the Political Economy of capital with the claims, no longer to be ignored, of the proletariat. Hence a shallow syncretism of which John Stuart Mill is the best representative. It is a declaration of bankruptcy by bourgeois economy." So vulgar economics was the dominant, or common, view of Political Economy after Ricardo, which was fundamentally apologetic and dismissed the Ricardian conflictive view of capitalist economies. "As early as 1871, N. Sieber, Professor of Political Economy in the University of Kiev, in his work 'David Ricardo’s Theory of Value and of Capital,' referred to my theory of value, of money and of capital, as in its fundamentals a necessary sequel to the teaching of Smith and Ricardo. That which astonishes the Western European in the reading of this excellent work, is the author’s consistent and firm grasp of the purely theoretical position." So the excellent work of Professor Sieber correctly grasps Marx's theoretical position, according to Marx, and says that it is "a necessary sequel to the teaching of Smith and Ricardo." I'll leave for another post the discussion of the current state of economics, and in what sense one can talk of a return of vulgar economics. 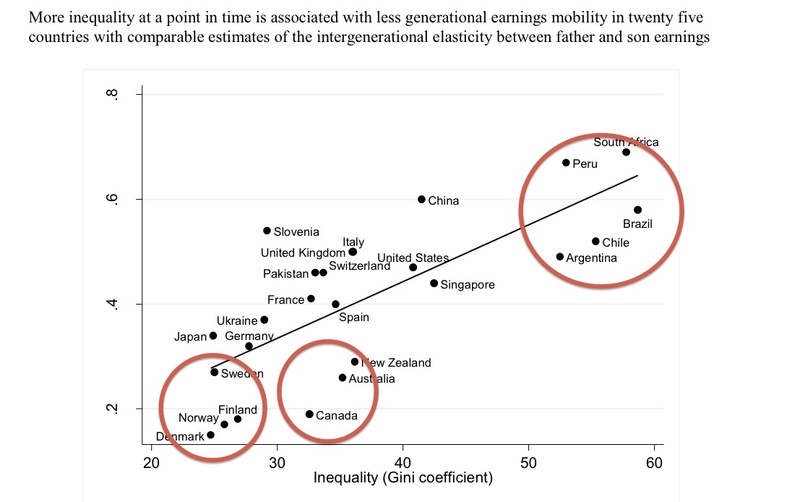 The so-called Great Gatsby diagram that Alan Krueger presented recently shows that there is a positive correlation between inequality and lack of social mobility. The graph below shows a full version. Note that the only African and the four Latin American countries are on the higher end of the graph, while the four Nordic and the three British off-shoots in the sample are at the other end of the Gatsby curve. The US uncomfortably close to the higher end of the curve. No particular observation. Graph does all the job. The source for the graph is Miles Corak here. Teaching the basics of the surplus approach this week. 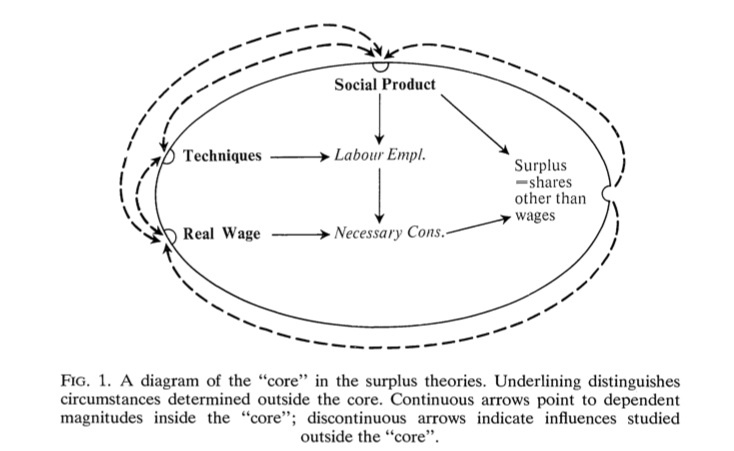 One important feature of what Garegnani refers to as the core of the surplus approach, shown in the figure below, is the flexibility that it provides for the development of alternative theories. In the core output, technology and real wages are taken as data of the system. With output and technology one can determine the labor requirements for production. Further, with real wages one can get the necessary consumption needed to reproduce the labor force. Finally, extracting necessary consumption from output one obtains the surplus, and the surplus is what allows for expanded reproduction or accumulation, the main preoccupation of classical political economy authors. An important thing to emphasize is that the relations within the core do not imply that the theories regarding the data must be similar. For example, while Ricardo accepted Say's Law, Marx clearly rejected it. 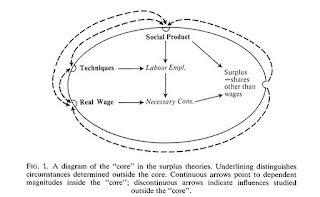 Hence, the core is compatible with alternative theories of output, and similarly about the determination of real wages and technological change. The core is flexible and capable of encompassing different theories. Further, nothing precludes the existence of feedback mechanisms and relations between the data of the system in classical analysis. The level of surplus might certainly have a relation to output, and that is central for the theories of accumulation, but those relations lack the generality that is attributed to the core relations. In those, less rigid relations, the role of institutional and historical elements loom large. In the marginalist approach, in contrast, output and distributive variables (the real wage and profits, which are part of the surplus and, thus, residual for surplus authors) are determined simultaneously by supply and demand. There is no space for alternative views on the determination of output or the real wage. Full employment (a version of Say's Law) is a necessary result with flexible prices (hence, rigidities are necessary to get unemployment). Garegnani, P. (1984), “Value and Distribution in the Classical Economists and Marx,” Oxford Economic Papers, 36, pp. 291-325. Link here (subscription required). PS: A complementary post, diagram and suggested reading at Robert Vienneau's Thoughts on Economics. In his last column, Martin Wolf mentioned the fact that, since 2007, the fast-growing Asian countries have grown by 60%, whereas rich countries have grown by 3%, and he pinned the world's economic hopes in Asia. Brazil, in the same period, grew by modest 16%. Brazilians also depend on the increase in Asian demand to achieve their growth. Brazilian economy is not stagnant as the economy of developed countries, but, in terms of growth, it is closer to them than to countries such as China and India. A few readings on why American hegemony is not on the verge of collapse, prompted by a conversation with a graduate student. Note that all come from a group of people that has been influenced by Maria da Conceição Tavares, who wrote in 1985 a classic paper (A Retomada da Hegemonia Norte-Americana; in portuguese), on the rise of US hegemony when almost everybody was going in the other direction. Fiori, J. L. (ND) "The Global Power, Its formation, its expansion and its limits," processed. Serrano, F. 2003. “From Static Gold to Floating Dollar,” Contributions to Political Economy, 22: 87–102. 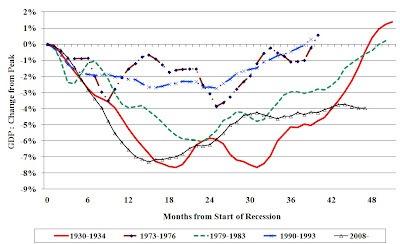 Fields, D. and M. Vernengo (2011), "Hegemonic Currencies during the Crisis," Levy Economics Institute Working Paper No 666. And yes, I did notice the number of the working paper! It is well known that the surplus approach authors dealt with exhaustible resources when discussing land and rent. The so-called Ricardian theory of rent, discovered by West and Malthus, has important implications for income distribution as it is well known. Landlords benefited from protection, which forced the use of scarce land, and led to higher rents (and for a given output and a fixed wage at subsistence) and lower profits. Thus, the existence of an exhaustible resource led to a transfer from the dynamic capitalists to the backward landlords. The rent paid for the extensive use of land of different quality is significantly different than the intensive case of marginalist (neoclassical) theory. Marx was critical of certain aspects of the Ricardian theory of rent. In particular, he argued that 'absolute rent' would arise even if there were no differences in the levels of land productivity, if owners had a monopoly power over the natural resource. In this sense, the nature of rent is highly dependent on the historical contingencies and institutional arrangements that make one social group or class able to obtain greater bargaining power. One important conclusion from this approach is that ownership and taxation of natural resources is crucial to determine which groups win or loose with the continuous use of exhaustible resources. Nationalization of natural resources not only might provide a situation in which the benefits and costs of extraction are shared more equitably, but also furnish the funds for the investment needed to promote alternative technologies. Below some readings that might be useful. Bidard and Erreygers (2001), The Corn-Guano model, Metroeconomica 52(3), 243-53. 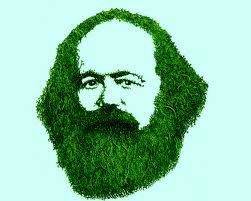 Burkett (2006), Marxism and Ecological Economics, Leiden, Brill. Parrinello (2001), The price of exhaustible resources, Metroeconomica 52(3), pp. 301-15 (subscription required). Ravagnani (ND), Classical Theory and Exhaustible Natural Resources, processed. "The euro was a noble experiment, but it has failed. Instead of wasting more money on expanding the system's scope and developing ever larger rescue funds, it would be better for the EU and others to think about how best to revert to a system of individual currencies." "Worries about values of government bonds are rational because it is unclear whether—even with assistance from the center—Italy and other weak members will be able and willing to meet their long-term euro obligations. A new (or restored) system of national currencies would be more credible, because Italy should be able and willing to meet its obligations denominated in new liras." Forget that the ECB can actually buy bonds (Italian and others), and reduce the burden of interest payments, allowing for more expansionary fiscal policy, which is what you need in a recession. The center of gravity on climate change/global warming/... on the left is pretty fairly represented by Dean Baker's recent blog saying it's lights out figuratively and literally if we don't change our profligate energy ways. 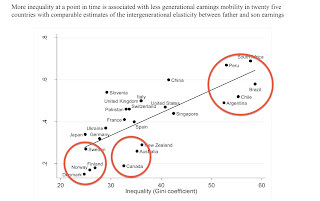 And this is by far more important inter-generationally than the current aggregate-demand-deficit-led fiscal deficits. Dean's post is here. And, given mainstream science, he's absolutely right. This leads to the growth-neutral advocates with whom I have a moral problem in that it condemns the poorer nations to less wealth than we living in advanced countries enjoy. If that is to be the outcome, we should be crystal clear sure of our environmental arguments. I do not challenge results like those from the IPCC. However, there are a couple of mitigating things going on, one in the realm of economics, and one in the realm of heterodox science. First, for a recent department seminar on environment, I put together some data using the Kaya model and UN population projections to project CO2 emissions. What this clearly shows is that among greening of energy sources, energy efficiency, and population growth, it's population growth, through GDP growth, that has the greatest impact on CO2, by a factor of at least three times. And, the closer we are to the UN 2010 population low estimate of growth, the better off we are, in fact, my analysis shows we bend down the CO2 curve starting in about 2050. Fertility reduction is what we should focus on. Fortunately, it is clear in the literature that GDP per capita growth and female education both significantly correlate with reduced fertility rates, and those trends are in train around much of the world. So the best solution for CO2 mediation in the current context is headed in the right direction; we should give it a major shove. Helicopter drops of books and family planning items. You can see my slides here. Make sure to check out the embedded motion chart to visualize the effects of GDP and education growth on fertility by country. There may be hope in the following sense. Growth of per capita income is not necessarily that bad for the environment, and those defending De-growth (reduction of GDP) might understate the economic, social and environmental effects of their policy suggestions. Second, I will talk a bit of non-mainstream science, and thereby prove myself crazy for doing it publicly. Remember cold fusion? In 1989 Professors Pons and Fleischmann, right here at the University of Utah, reported experimental results for an over-unity chemical reaction in a press conference. They were immediately, viciously, humiliated and attacked by the scientific mainstream, especially those whose gored ox was pulling the generously funded hot fusion projects. The cover story was that this violates thermodynamic laws. Case closed. Except physics has evolved theories in which such results are supported without violating thermodynamics. And one of the many serious experimenters working in cold fusion since 1989, Andrea Rossi, has announced and shipped an over-unity megawatt heat generator that uses its modern incarnation LENR, which stands for Low Energy Nuclear Reaction. The mainstream science is still out on this, but if its commercially successful, who cares? Well, Dennis Bushnell, the chief scientist at NASA Langley, cares, and has spoken. 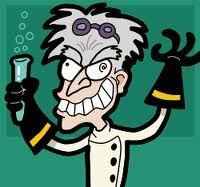 He thinks LENR is a revolutionary epoch-changing technology whose time has come, a true game-changer. I have gone on further than most care to read in one blog, so will stop and not embed more word or links in this post. Depending on the interest and tolerance for these surprising ideas, I will offer to follow up on this and post more sources. Let me finish by saying, if true, this will put us on the road to virtually unlimited, very cheap, zero pollution distributed and compact energy sources. That would change much that is wrong with our current economies on the physical (but not distributional) side. And Dean Baker would be freed of his inter-generational global warming dilemma, so can get back to creating jobs here and now. 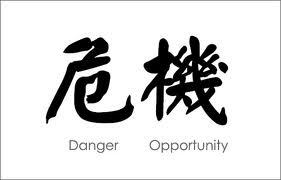 It has become increasingly common to suggest that on top of the European debacle and the sluggish recovery in the United States, China might be on the verge of a collapse, and with it the last bastion of economic growth in the world economy would also be gone. Not only the center is stagnant, but also the periphery of the global economy is very fragile. But the probability of a Chinese slowdown is greatly exaggerated. Paul Krugman, who has been correct about the need for fiscal expansion in the United States, and about the European Central Bank (ECB) mismanagement of the Greek crisis, for example, has suggested that China is in the middle of a housing bubble that can burst at any time (see also Jayati Ghosh and C. P. Chandrasekhar here for a similar, but broader view of the dangers in 2012). This view insinuates that growth in China is fundamentally dependent on domestic demand, but that the sources of the expansion are fragile. It, further, suggests that China now looks very similar to the US before the Lehman Brothers crisis in September 2008. 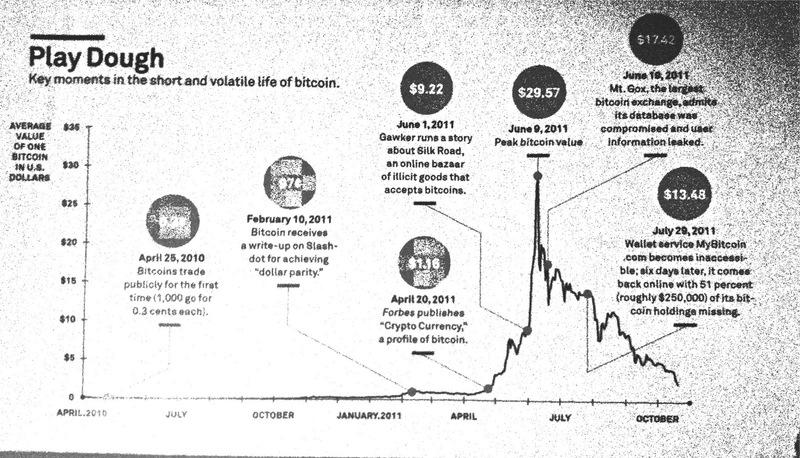 "Bitcoin required no faith in the politicians or financiers who had wrecked the economy—just in Nakamoto’s elegant algorithms. 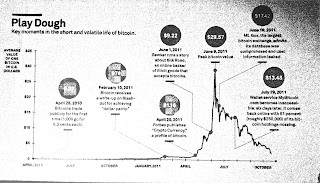 Not only did bitcoin’s public ledger seem to protect against fraud, but the predetermined release of the digital currency kept the bitcoin money supply growing at a predictable rate, immune to printing-press-happy central bankers and Weimar Republic-style hyperinflation." A very monetarist view of inflation, as you can see. The problem is that central banks print too much money, and by the way, in the US hyperinflation is around the corner. The funny thing is that they had hyperinflation in Bitcoinland (a land of people that use this stuff) last year and they didn't understand it. The graph below shows the exchange rate between bitcoins and dollars from inception to the end of last year more or less. As it can be seen (not very well I'm afraid), prices fell from almost US$30 per bitcoin to around US$3 in two months. Now think about it. If you bought a "I'm Satoshi Nakamoto" T-shirt (the guy that invented bitcoins, and yes they do sell them) say for US$ 30 in mid-June last year it would cost you approximately B$ 1 (B$ is not a bad symbol for them!). By late October, when the exchange rate depreciated brutally, you would have to pay for the same US$ 30 T-shirt around B$ 10. 10 times more. 1000% inflation in two months looks like hyper to me, even though the supply of bitcoins did not increase nearly as much, since it is controlled by a complex computational algorithm. This should teach these people that hyperinflation is more complicated than just central banks printing money (see this paper). Still Ron Paul may have some support in Iowa, because of popular misperception about the role of money supply and the causes of inflation. Happy New Year! PS: In my view Nakamoto is the intelligent version of Madoff. He got away with the dollars and dumped the bitcoins.